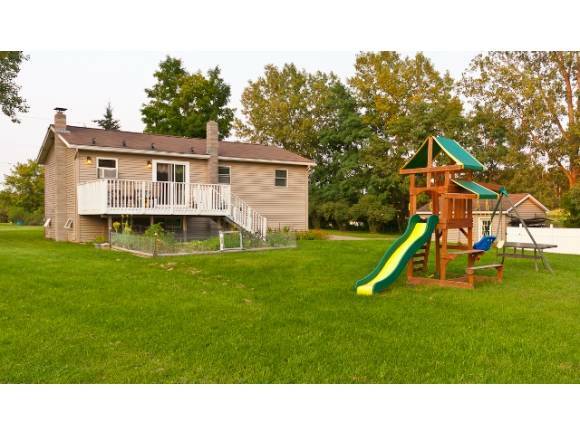 Great raised ranch on 1.57 picturesque acres! Open concept upstairs, with hardwood floors throughout. Updated kitchen, with new appliances and new tiled floor. Third bedroom located downstairs in fully finished basement, which includes a bathroom, huge family room and laundry room with walkout. A detached 1 car garage and space for 4+ cars in driveway. Beautifully landscaped with raised beds, perfect for a vegetable garden. With just a short walk to Catamount Outdoor Center, minutes from Williston Village & easy access to the Interstate, the location cannot be beat! For more information or to make an appointment to see this property please call Sonia Krajicek at 1-802-658-5555 ext 2154.